When the world needs a hero, there's only one person who can save us all. This amazing poster features the strongest woman in the world; Captain Marvel as she stands alongside Nick Fury and Yon-Rogg, the alien Kree and military commander. 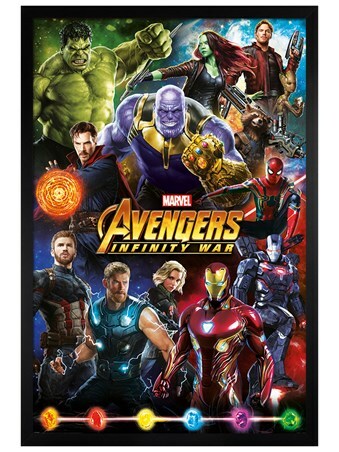 If you are a fan of the comic book adventures of Captain Marvel, then this awesome poster is the perfect way to decorate your home and show off your obsession for the sci-fi saga of the kree warrior. Complete with a 61cm x 91.5cm gloss black plastic frame, fronted with transparent Perspex and ready to hang in your home. High quality, framed Gloss Black Framed Epic, Captain Marvel framed poster with a bespoke frame by our custom framing service.